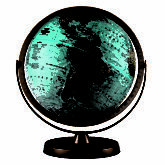 Attractive practicality. 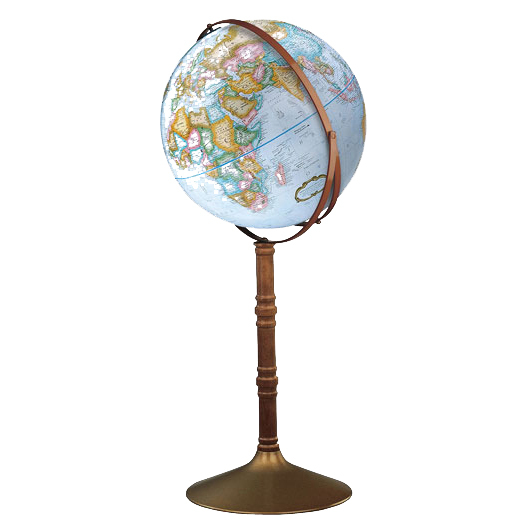 This stylish 16″ raised relief world globe features a sturdy metal base, rich walnutfinish pedestal and complementary Gyromatic assembly. 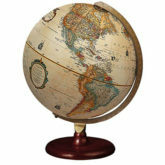 Also, by simply removing the centerpost, it converts from a 38″ floor model to a convenient table world globe. 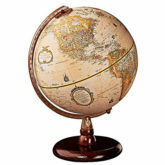 This globe has “gyromounting” which it allows it to spin in all directions.